In this post, we will discuss emerging trends in SEO and Lead Generation that can be used to improve your rankings and generate new leads for your business. The second half of the post will examine how good SEO can power your lead generation strategy and deliver highly targeted organic traffic to your business. Search Engine Optimization is in a state of perpetual change, and staying on top of it can be challenging for even the best of marketers. Keeping informed of the latest trends will ensure that your website remains at the top of Google’s rankings for the long term. There are a few critical areas to focus your SEO efforts on in 2018 – the quality of your content and user engagement being top amongst them. 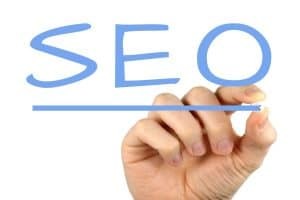 SEO encompasses a large number of tactics and methods that can be used to improve the ranking of your website and content in Google’s search results. SEO methods and terminology have been around for years, yet they are constantly evolving. Here are the areas to focus on in 2018. 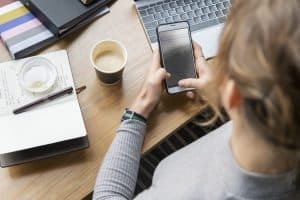 In 2018 optimizing your website for mobile visitors should be a top priority. Mobile ready content is more important than ever before as more than 50% of internet traffic originates from mobile browsers. If mobile visitors have a bad experience using your website they are unlikely to return, which makes it crucial that your content is optimized for mobile readers. While you shouldn’t neglect the desktop version of your site, your mobile site is considered a key ranking factor by Google. In fact, more searches are made from mobile devices than desktops during certain hours of the day, which has lead Google to prioritize the mobile browsing experience. The takeaway from this is that if your mobile site omits important information or is poorly optimized, it will certainly harm your rankings. Accelerated Mobile Pages (AMP) are a Google project launched in 2015 to improve the user experience of the mobile web. Since its initial launch, the AMP Project has been widely adopted across millions of domains and reduced load times to less than half a second. Google doesn’t directly use AMP pages as a ranking factor, but AMP pages significantly improve the user experience and load time which increases user engagement. Many websites use AMP pages as a landing page and then require the user to click through to the main website to continue reading the content. Splitting content like this results in a poor user experience and should be avoided. As of February 2018, Google will require AMP pages to have “close parity” to the content on the original website, putting an end to this practice. AMP technology has a place in many SEO strategies as it sets your site apart as an industry leader, and enhances the visitor experience with reduced loading times. Almost every smartphone sold these days allows the user to make searches using only their voice. This trend is expected to continue, and by 2020 it’s expected that over half of all searches will be voice searches. And it’s not only smartphones that are making voice searches; devices such as Amazon Echo, Google Assistant and Siri are becoming a part of everyday life. To take advantage of voice searches, you need to modify your keyword strategy to account for the style of language people use when searching. Consider the types of questions that people will ask and provide answers in an easily available format. Adding a frequently asked questions (FAQ) section to your website can increase voice rankings dramatically if the FAQ’s match the typical phrasing that your visitors use. Consider engaging with your customer support team to see what types of questions your customers are frequently asking and then develop content that will rank highly based off these results. The featured snippets section is one of the most coveted positions on a search ranking page. This is the answer box that appears at the top of the search results and provides an instant answer to many types of query. Featured snippets provide a quick summary to a search query, and then allows the user to click through to the page for further information. Only the top result for a search query will make it into this prized position and the top spot is often occupied by a Wikipedia article. However, you can often occupy this spot for your own website by answering queries in simple and easy to understand language. This usually takes the form of a paragraph of content that summarizes a broad topic, but bullet points and data tables can also rank highly here. Research the current results for a given query and see how your site could improve upon or summarize this answer into a brief soundbite. Because featured snippets are usually read out by Siri or Google Assistant, they also play an important role in optimizing your site for voice search. The era of search engine spam and low-quality content is quickly fading. If you want to rank highly in 2018 then it is truly a game of quality over quantity. There is an absolute plethora of content written for every conceivable niche, meaning that users demand to be directed to the most authoritative content available. This means knowing your topic inside and out and ensuring that you are producing content better than anything else available on the web. The most recent Google algorithm updates evaluate the quality of content to ensure users are getting good answers to their queries. This makes it imperative to understand who your target audience is and what type of questions they need answered. Artificial Intelligence once belonged to the realm of science fiction, but Google’s new RankBrain AI is being used to help deliver search results. RankBrain analyzes the intent behind a user’s search query to learn and adapt to new keywords over time and to constantly improve search results. How does this apply to your own SEO efforts? It’s all about making your keywords specific to individual landing pages, and anticipating the keywords your users may search with in the future. Choosing the right keywords has always been at the core of good SEO strategy, but in 2018 its more important than ever to avoid “keyword stuffing”. We mentioned that visitors are looking for exceptional-quality content, and forcing specific keywords into a piece of content usually breaks the flow and feels unnatural to the reader. Google’s algorithm has moved well beyond exact keyword matching and will rank pages that have variations on keywords highly. Content should be written for the user first and foremost, and keyword phrases only used where appropriate. Users are searching with longer, and more natural language queries which your keyword strategy should take into account. It’s also important to develop content around an entire topic and then link it together to provide broad information about a topic. Links will always be an important piece of Google’s ranking algorithm, but the quality of links is more important than ever before. Linking from your website to external content endorses that content in the eyes of Google and reflects upon your brand image. Put a lot of consideration into the sites you link to and evaluate your incoming links as well. If low quality spam sites are linking to yours, you may incur a Google ranking penalty, so its important to be aware of your incoming links and manage them accordingly. If you do have low quality incoming links, use the google “disavow” tool to prevent them from counting against your sites ranking. SEO is only one piece of a broader lead generation strategy. To make sales, you need to have a constant stream of high-quality leads coming into your business. If you don’t have a source of incoming leads, it doesn’t matter how good your salespeople are at closing or how amazing your product is. In this section we’ll look at how generate leads in the B2B space and get your pitch in front of as many decision makers as possible. 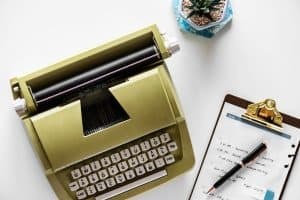 Content marketing such as your website, blog posts and videos are an important aspect of lead generation, but there is a glaring flaw with these mediums. The communication only goes one way. It’s important that your prospects can chat with you so that you have opportunities to sell to them, and to hear their feedback on your product offerings. Try to move the conversation off email and onto interactive mediums such as webinars or conference calls where it makes sense to do so. The most challenging part of finding new leads through social media is reaching the right people. Platforms such as Twitter operate on an enormous scale, which often makes it difficult to narrow down your audience using hashtags and keywords. Tools such as CrowdFire can make it easier to get a bird’s eye view of your audience and to find influencers that would be a good fit for your brand. Once you find potential leads via social media, it’s often a long process to engage with them and build up the rapport necessary before moving into the sales process. One awesome tool that is free you can use righ now is called Twazzup. It allows you to start finding people who are talking about relevant posts based on specific topics or keywords that you choose. 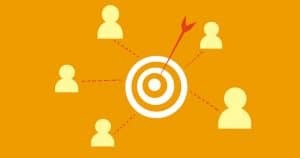 Target unhappy customers from your competitors and have them join you or offer free access to customers who you think would be interested in what you offer. The importance of quality in B2B lead generation cannot be overstated, so be careful to avoid this one. Buying lead databases usually doesn’t work and can even harm your reputation with customers. This is because any company with a good quality lead database is not going to sell it, as it would reduce the value of their own marketing efforts. Even worse, you could be fined for sending unsolicited bulk email if prospects decide to take legal action against your business. Instead of buying a lead database, focus on growing your list of leads organically through your content marketing efforts. When you collect a prospects email address you should place them into an autoresponder series that slowly drip feeds them content as they move through the sales process. Each message sent to your leads should be as relevant and targeted as possible. It’s a mistake to use the same content on your new prospects that you would for your usual customers. Once a lead has moved through your marketing automation funnel they should be comfortable with your brand, allowing your sales team to move in for the close. Question and answer services like Quora can be a great way to generate new B2B leads. People searching on Quora are already seeking to solve problems that your business could do for them. Answering user’s questions in an authoritative and knowledgeable manner on Quora establishes the authority and expertise of your brand and often directly generates new leads. Video is increasingly becoming the preferred method of content for many online visitors. Using YouTube to generate B2B leads can be difficult, but it provides a unique opportunity for your business to stand out. To succeed on YouTube it’s important to regularly post content that will be shared organically across the web – try and have at least 10 pieces of video content when first starting a YouTube channel. Videos that introduce your service to an audience tend to be the best performers for lead generation. Don’t forget to have a clear call to action in your video that places prospects into your content marketing funnel. One of the major advantages to using YouTube for lead generation is that it allows you to build your remarketing lists and then further engage with prospects. Most potential leads will search for reviews of your service before making a purchase decision. They will seek out honest reviews of your brand when doing their research, and fake reviews easily stick out. This makes having reviews of your product available an important aspect of lead generation. Don’t be tempted to buy fake reviews. This will quickly backfire and hurt your search rankings and brand credibility. Instead, always ask your current customers to review your product after purchasing. Pay Per Click advertising (PPC) is one of the best ways to find new leads quickly. LinkedIn ads are particularly effective in generating leads in the B2B marketing space. LinkedIn offers several different advertising options: sponsored content, InMail, Lead Gen Forms and more. However, Lead Gen forms are easily one of the most cost-effective methods to generate new leads in 2018. LinkedIn Lead Gen Forms prepopulate a form with information from the users LinkedIn Profile. This makes it far easier to capture leads, as it reduces the number of abandoned forms and makes data entry unnecessary on mobile devices. All the user must do is press a single button, and they will be opted into your marketing lists which provides you with their full contact information. Pop-ups on your website can annoy visitors if not used correctly, but a cleverly placed exit-intent pop-up can add leads into your sales funnel. In simple terms, exit-intent is a technology that tracks a user’s browser movements and displays offers or opt-in forms when they are about to leave the page. By showing a message when the user is about to leave, their intent is often redirected, and they end up on your mailing list. Cold calling has been one of the most effective lead generations strategies for years. Many have predicted that it would see a decline due to the rise of social media and online marketing, yet it remains an effective source of new business. One of the main advantages of cold calling is that you can receive immediate feedback to your pitch, and adapt it as you go. Well trained sales staff will know when it’s appropriate to deviate from the script and can tailor your pitch to a specific prospect. Talking on the phone also creates a human connection with your prospect that simply can’t be replicated by other mediums. Finding common ground and shared experiences allows sales staff to build the credibility of your business. Potential customers can then research your company on the web and become customers later, even if the initial pitch is unsuccessful. The main benefit of cold calling is that it breaks through the noise of advertising and social media and can immediately generate new leads. Warm calling can also be used to follow up with prospects at different points in your sales funnel, such as when they complete an email or telephone opt in. Studies have shown that the sooner you follow up with a prospect, the greater the chance that they will convert. It’s extremely important to follow up with leads ASAP when they submit any contact information on your website. Cold calling can be an amazing lead generation channel, especially when a well proven script is used. Email lead generation has always been at the heart of internet marketing and this will continue for the foreseeable future. 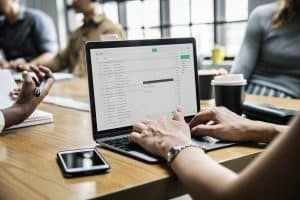 Despite the rise of social media and paid advertising, email marketing remains an effective strategy for lead generation because it allows direct access to your audience while minimizing costs. While email may appear simpler than other lead generation channels, its only getting harder to stand out in increasingly crowded inboxes. This makes it crucial to master good email composition strategies so that you engage effectively with your audience. We recommend looking into Findthatlead if you want to find an email for a specific person at a company. Subject lines are the first piece of your email that a potential prospect will interact with, and they can make or break your email campaign. A subject line is like the headline of an article; a poor subject line means that your email will remain unopened. Make sure to pick interesting and relevant subject lines that communicate value to the reader before they open your message. Before you create your lead generation emails, you should clearly define the purpose of each message. An autoresponder series can contain dozens of emails to slowly nurture a lead, and each message should serve a singular goal. For example, an email might be used to educate the reader on product offerings or to increase your social media followers. The body of your email message should be engaging and encourage the reader to take further action. The easiest way to do this is by providing valuable content to the reader which leaves them wanting more. Keep an email short and to the point and deliver value to the reader as soon as possible in the message. Never bombard readers with information that takes too long to process as this will bore them and cause them to abandon the email. A successful SEO strategy in 2018 will deliver more value to the visitor than ever before. The link between good SEO and lead generation is becoming stronger as more businesses are implementing inbound marketing strategies. Although it’s important to keep an eye on the newest tactics and trends, never take it to extremes and compromise the value of your brand. A well optimized site in 2018 should continue to work effectively for years to come.